Dolores Park’s renovation has been plagued by delays and unforeseen roadblocks that include costly vandalism, but nothing on the scale of what happened a few days ago. Recreation and Park Department Director Phil Ginsburg says two young vandals (“two idiots,” he called them) broke into the construction site on the north end of the park, hot-wired a construction vehicle, did some doughnuts on sod turf and popped wheelies on some uncured pavement. The stunt not only destroyed the sod, which had not rooted yet, but also damaged some of the newly installed drainage infrastructure. The vandals also tagged a new maintenance shed and then lit a fire to roast marshmallows and make s’mores. Ginsberg said police have arrested the vandals, one a juvenile and the other not much older than 18. Ginsberg made the comments at a press roundtable on Wednesday, though he reported the incident to KTVU Tuesday. 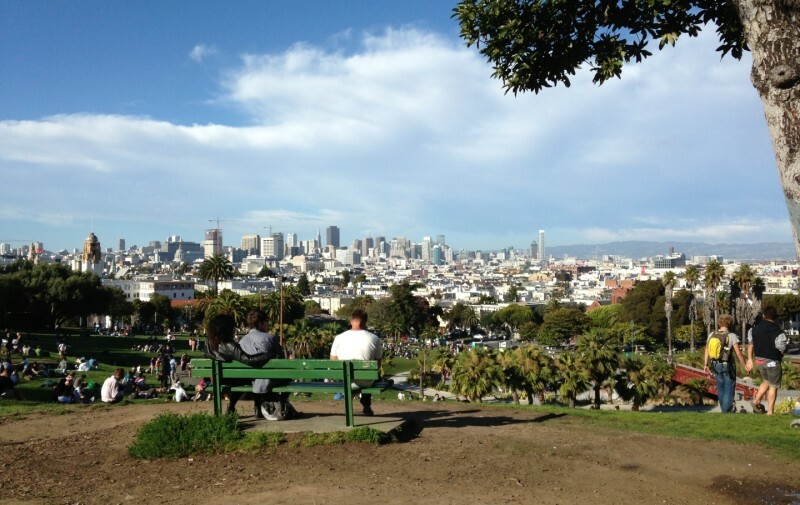 The damage comes to about $100,000, which Dolores Park Project Manager Jacob Gilchrist said will either be covered by the contractor’s insurance company or by the contractor itself. Read the rest of this story on Mission Local.